Welcome to Uist Community Riding School - a unique community-run project in a unique location. 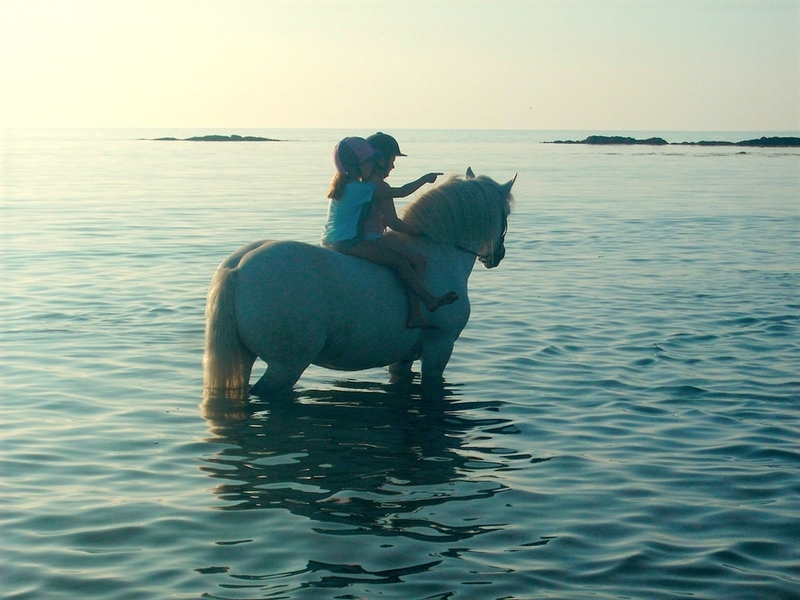 We offer lessons, training, beach rides, beach paddles, longer treks and livery facilities. We also have an indoor school. Uist Community Riding School is a BHS (British Horse Society)-registered riding school located on the edge of Balivanich, the principal settlement on the Isle of Benbecula in The Outer Hebrides. We offer beach rides, beach paddles and longer treks for the more adventurous. We also offer lessons and training, delivered by our qualified and friendly staff. We can also offer field and yard livery, and have our own indoor school, to enable our activities to continue, even when the weather is not favourable. Our activities are open to all ages, from five upwards, and are designed to be suitable to the skill level of the individual. In addition to our regular sessions, there are special events throughout the year, including the annual open show, summer camp and seasonal displays. We are rooted in our local community and run by a voluntary committee drawn from the local community. However we warmly welcome visitors of all ages and abilities throughout the year. For the latest news and to browse some lovely photographs of our horses in our idyllic environment, please visit our website at www.ridehebrides.org. We are situated on the road north out of Balivanich. We have on-site parking. The regular service buses also stop right outside the riding school. We are a short walk or cycle ride from the centre of Balivanich and are also situated within walking distance of Benbecula Airport.